This comforting casserole is sure to become one of your favorite winter meal ideas. With filling potatoes, juicy ham, tasty cheese, and flavorful cream of mushroom soup, this dish will warm you up on even the coldest of winter nights. 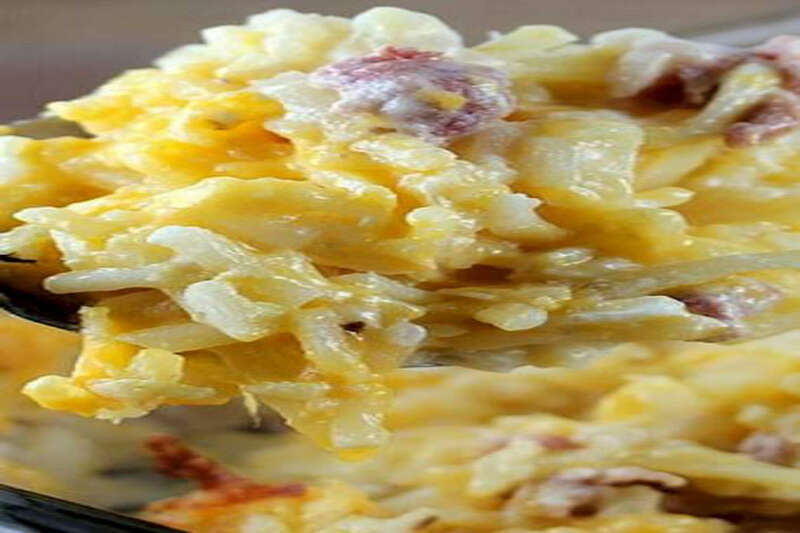 RecipeSavants.com This comforting casserole is sure to become one of your favorite winter meal ideas. With filling potatoes, juicy ham, tasty cheese, and flavorful cream of mushroom soup, this dish will warm you up on even the coldest of winter nights. Smart Recipes, American Recipes, Dairy,Vegetables,Pork Recipes, Recipes Dairy,Vegetables,Pork American Creamy Potatoes With Ham PT1H15M Serves 6 Ingredients: 16 Ounces Frozen Hash Browns 1 Medium Onion 8 Ounces Cooked Ham 1 Can Condensed Cream Of Mushroom Soup 8 Ounces Sour Cream 2 Cups Cheddar Cheese 2 Tablespoons Margarine Preheat oven to 350°F. Lightly coat a 13 x 9 casserole dish with cooking spray. Mix all ingredients together in a large bowl and pour into casserole dish. Bake for 50 to 60 minutes until potatoes are tender and serve.